ANALYSIS - Expect ups and downs for pork, poultry and beef animal protein. A new report from Rabobank says pork exports rely on two key factors. The headwinds for exports of pork from the US are twofold: Mexico and ractopamine. Mexico is the largest customer for US pork on a volume basis - accounting for about one-third of total exports and by some estimates, one-in-five of all hams produced domestically. Rabobank estimates the domestic breeding herd has expanded by nearly 15 percent over the last two years, lifting domestic pork production and pressuring imports, assuming disease outbreaks are controlled. The issue of the feed additive ractopamine has been a key barrier keeping US pork from fully participating in the fastest growing pork import market - China - due to China banning the use of ractopamine. 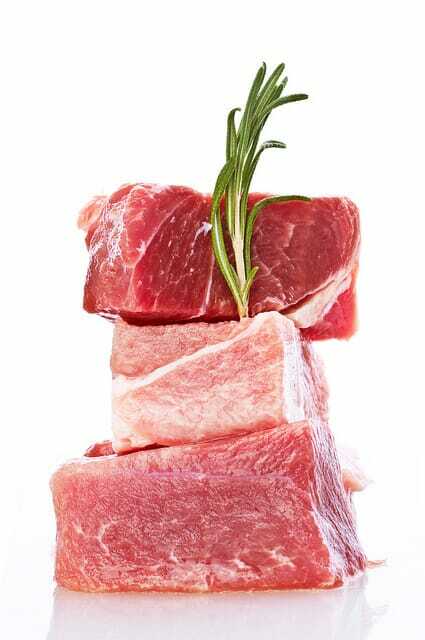 With the EU pork industry being fully ractopamine-free and the decline in the value of the Euro, pork exports from Europe to China have doubled in the last three years, and today, the EU controls more than three-quarters of all pork exported to China, said Rabobank. As more US pork producers adopt a ractopamine-free supply chain, exports to China are starting to climb. However, Rabobank still sees a number of missed trade opportunities in this very important market. The leader in production growth over the next few years is likely to be beef. Starting in 2016, herd rebuilding finally started to drive increased beef production but will accelerate into 2018 and 2019. Heifer retention and cow herd expansion during the last few years will lead to a 4 per cent increase in beef production by 2017. With the favorable price environment, beef production growth is expected to continue through 2020 but at variable rates. Rabobank expects US beef trade opportunities for exports and imports to be mixed. For the US chicken sector, most of the trade issues stem from the discovery and subsequent spread of high-path avian influenza (HPAI) in the fall of 2014, which led to many poultry trade partners banning US poultry products. Despite 2016 having just a single case of HPAI so far, Rabobank still sees the risk of future HPAI outbreaks as being a major concern for US poultry exports. For most countries, the US ban is regionally based to where the problems have occurred, so this a positive, leaving much of the US open to export poultry. The concern in this scenario is if a state should have an HPAI outbreak, the entire state could lose the vast majority of its export markets. An example is Arkansas, the second-largest chicken-producing state in the US, which experienced this in 2015. According to Rabobank, after a state is found to have a case of HPAI, that state loses as much as 75 per cent of its export potential as a result. The US poultry sector is also adding new plant capacity to the tune of four or five new plants over the next few years, coupled with capacity expansion at a number of legacy plants. Production profitability has been positive much longer than the normal cycle for the industry, resulting is less producer debt and potentially a significant cash stockpile.